The Oxford Academy and Central School Board of Education recognizes that learning environments that are safe and supportive can increase student attendance and improve academic achievement. A student's ability to learn and achieve high academic standards, and a school's ability to educate students, is compromised by incidents of discrimination or harassment, including but not limited to bullying, taunting and intimidation. 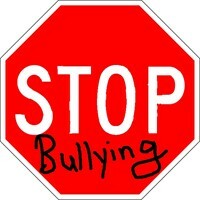 Therefore, in accordance with the Dignity for All Students Act, Education Law, Article 2, the District will strive to create an environment free of bullying, discrimination and/or harassment and will foster civility in the schools to prevent and prohibit conduct which is inconsistent with the District's educational mission. Since cyberbullying is a form of bullying, the term “bullying” as used in this policy will implicitly include cyberbullying even if it is not explicitly stated. Please complete this form to report a bullying incident. Please explain in your own words what happened. Please list the names(s) of the accused bullies or provide a description of them. Has this person bullied you or your student before? If yes, did you complete/report the incident? Please list the approximate date you completed the previous report. What administrative action (if any) was taken? To your knowledge was parent communication made? To your knowledge were faculty members involved? If yes, please list names of faculty members.